“Sam the Cooking Guy” chef Sam Zien will be the face of a new food hall in the Piazza della Famiglia under construction in Little Italy. The Little Italy Food Hall, the first project by new San Diego-based hospitality group Grain & Grit Collective, will feature an 11,000-square-foot patio with six local eateries and a full bar with local beer and craft cocktails. 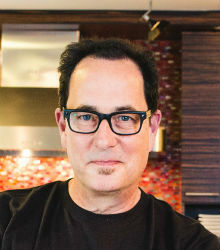 Zien, the host of a popular cooking show and author of several playful cookbooks, is the face of the project and will open the Not Not Tacos eatery in the hall. Other food vendors will include Milan-style pizzeria Ambrogio15, the artisanal Roast Meat & Sandwich Shop and Wicked Maine Lobster. The design of the space will pay homage to Little Italy’s maritime past with nautical materials, patterns and architectural details. 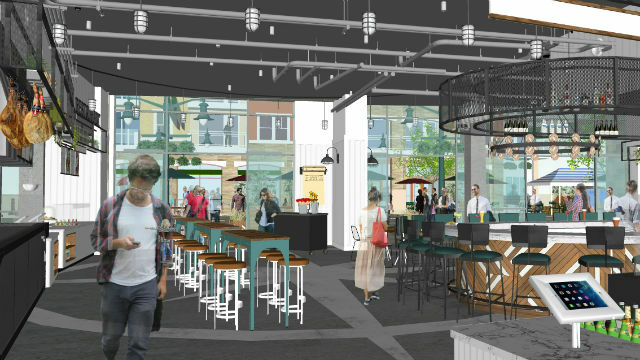 Mike DiNorsci, a partner in Grain & Grit, said the food hall will also honor the generations of “immigrant family members who built a strong community” in Little Italy. The Piazza della Famiglia by developer H.G. Fenton Company will be a central gathering place to host farmers’ markets, concerts, cultural events and more in the heart of Little Italy. Two mixed-use buildings will feature 125 apartments placed above 17,720 square feet of retail and restaurants. The project is expected to open in the summer.